For those of you that like to mix up a shockingly cool cocktail, the blue Boston Cocktail Shaker will perfectly complement your style! 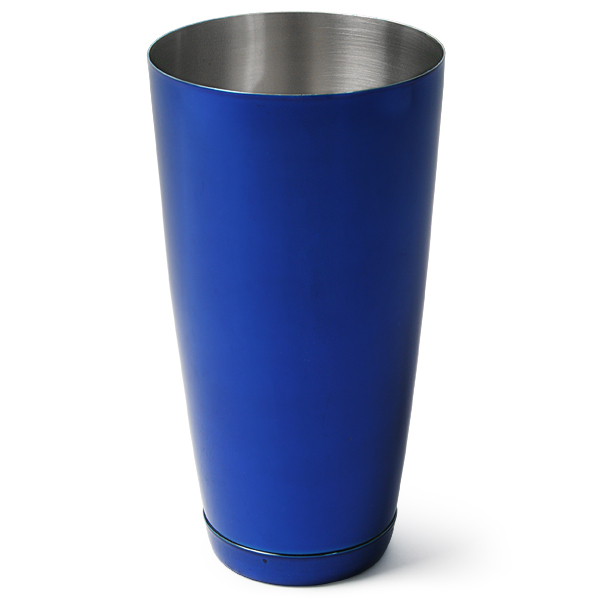 The polished, reflective, electro blue colouring of this shaker tin is ideal for serving up a Blue Margarita, Blue Lagoon, or something else suitably matched in colour. The sharp colouring is also great for pouring out a contrasting coloured cocktail - perhaps a bright red Cosmopolitan, or a Strawberry Daiquiri! 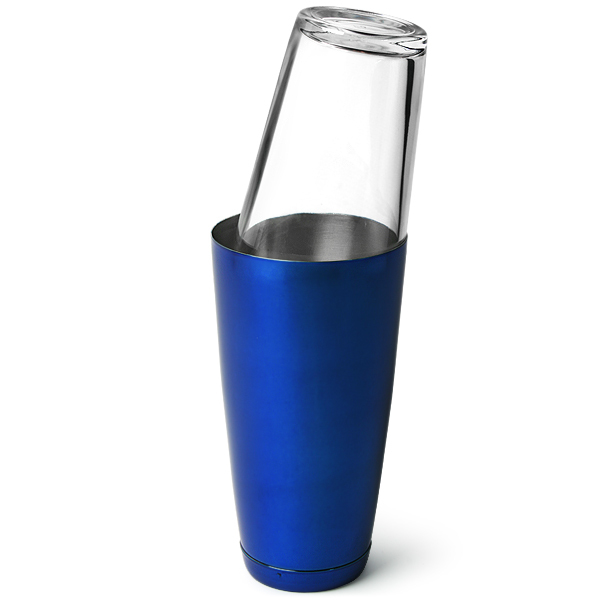 This professional quality Boston Cocktail Shaker tin features a reinforced base, just adding that bit of extra weight to your shaker. Great for launching your cocktail concoctions into the air with the added reassurance that they will fall bottom down for safe catching! "Great shaker, nicely weighted, this makes it excellent for catching. 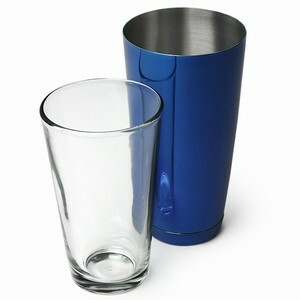 Doesn't leak, nice finish, great for adding that little extra touch when flairing or just making cocktails. Just a side note, looks amazing when making red cocktails, the contrast makes the colours even bolder"
"I've just bought one. Good stuff. Tin is solid and looks awesome. Glass is thick. Accidentally, mixing glass fell on hard floor and remained undamaged. Might be luck, but I'm very pleased with my purchase. Highly recommended!" "Wonderful set, the tin is light and sturdy and gorgeously powder coated. Being the clumsy fool I am, I have dropped it many times in the short period I've had it and there are zero marks or dents on it... hard as nails! 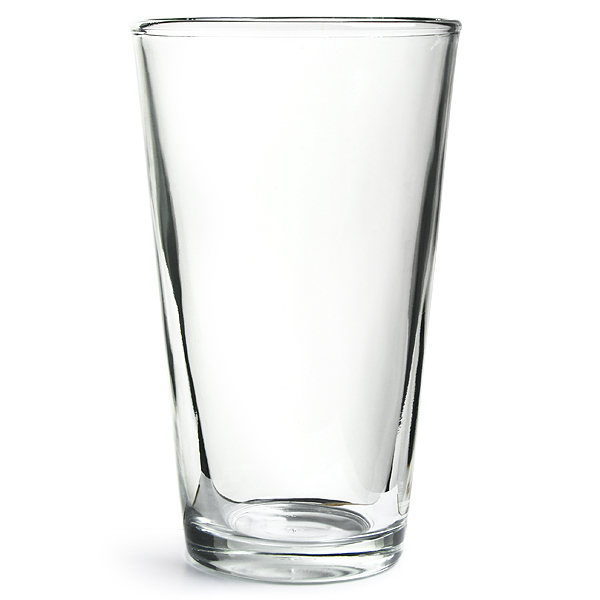 And the boston glass is just as good clean and perfect... I love it! Now all I need are some strainers!" Drinkstuff says: Thanks for your review Dave. As a thank you for the excellent series of reviews you've left, we've added £5 to your account which you can redeem on your next order! Now you can get those strainers you wanted!